Google faces a total of nine anti-trust complaints which EU regulators are now investigating, according to reports. 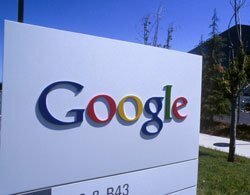 Google faces a total of nine anti-trust complaints which EU regulators are now investigating, two sources said on Tuesday, according to a report from Reuters. Three cases are from national regulators, while two were fresh complaints, a source told the newswire. Last November the European Commission launched an investigation into Google, following complaints from rival search engines accusing Google of abusing its position as the world's leading search service provider. The complaints came from British price comparison site Foundem, French legal search engine ejustice.fr and Microsoft's Ciao from Bing. Google is also being investigated by the Federal Trade Commission as to whether it abuses its position in search dominance to steer users to its own sites and services. Google was unable to comment and the European Commission had nothing to add.